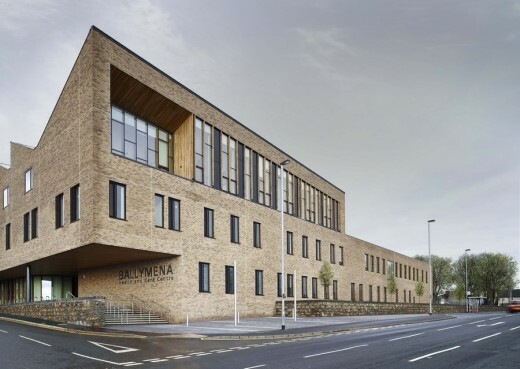 Angelvale Consortium, supported by FaulknerBrowns Architects in the role of masterplanner, has been appointed by the Department for Communities and Ards and North Down Borough Council, as the preferred developer for the re-development of Queen’s Parade, Bangor. Led by Cubic3, as investment manager and development directors, the consortia includes various international entertainment and leisure investors/operators as well as local organisations. 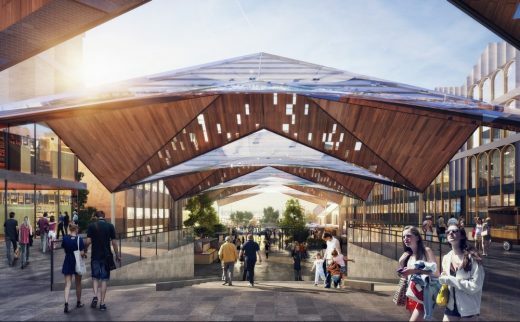 Proposals for the phased £75m mixed-use development scheme include zones for leisure, entertainment residential, retail and water sports, as well as proposing a new health and wellbeing centre. 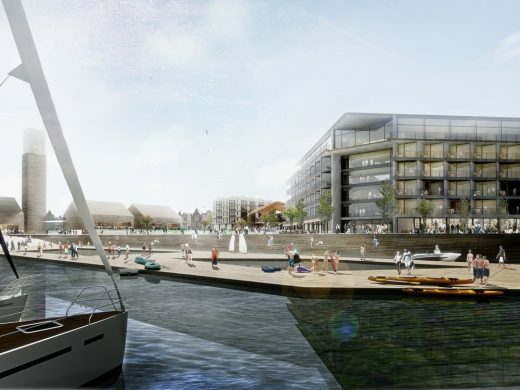 At the core of the scheme is a new waterside 80 bed signature hotel and public piazza with access for the public to the marina and water sports centre. 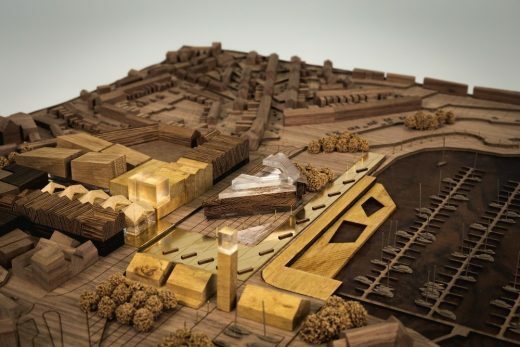 Connectivity improvements throughout the scheme will extend the existing waterside pedestrian route from the banks of Belfast Lough into the heart of the town centre whilst conversely, encouraging those in the town centre to extend their visit to the waterfront. Queen’s Parade is best known as a traditional seaside holiday destination, surrounding by vibrant Edwardian and Victorian features and the attractive Bangor Marina. It currently forms an important part of the town centre fabric, but its potential as a leading destination has yet to be fully realised. 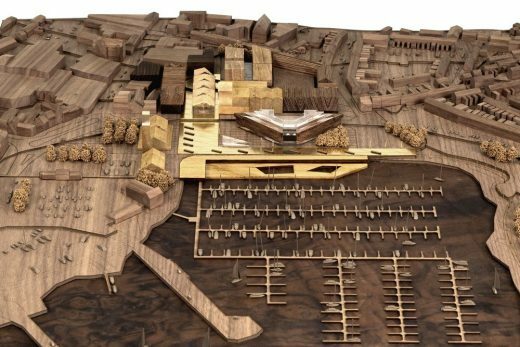 This latest development reimagines the town’s waterfront, proposing an imaginative, distinctive and sustainable concept that delivers a new destination, which not only supports local residents, but provides a quality environment to delight visitors throughout the year. This will be supported by a year-round calendar of events and festivals, to further increase the attractiveness of the offer. 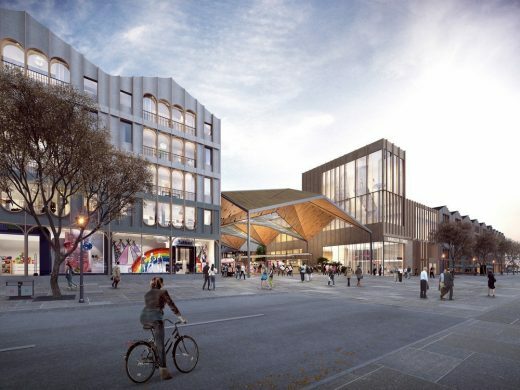 Proposed leisure elements to be incorporated into the scheme include cafés, restaurants, a cinema, a winter garden and a multi-level indoor sports venue that will be home to outdoor sports enjoyed across Northern Ireland. 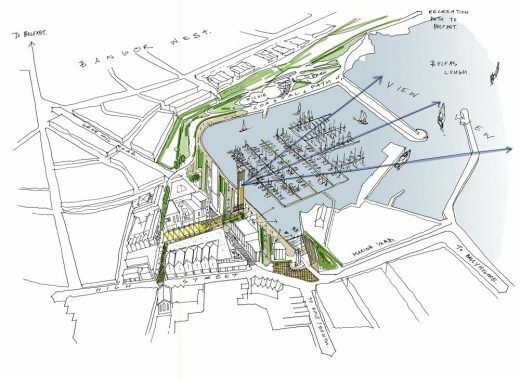 This is to be combined with a new ﬂoating pontoon and water-sports centre in the marina where visitors can receive instruction in water activities including sailing, canoeing and paddle boarding. 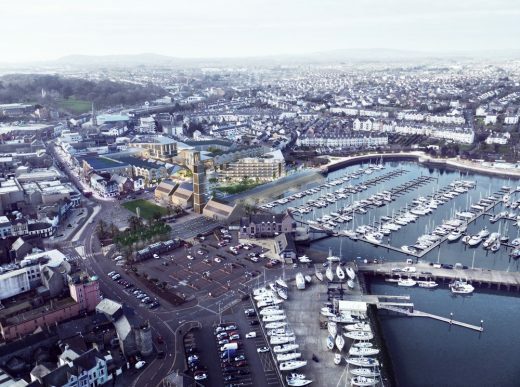 A new waterfront hotel will extend the attractiveness of the marina and offer a range of service that will extend and broaden Bangor’s offer as a leading tourist destination. d preferred bidder for the £600 million Mersey Gateway Bridge project.